This Tequila Lime Chicken is similar to Applebee's Fiesta Lime Chicken. 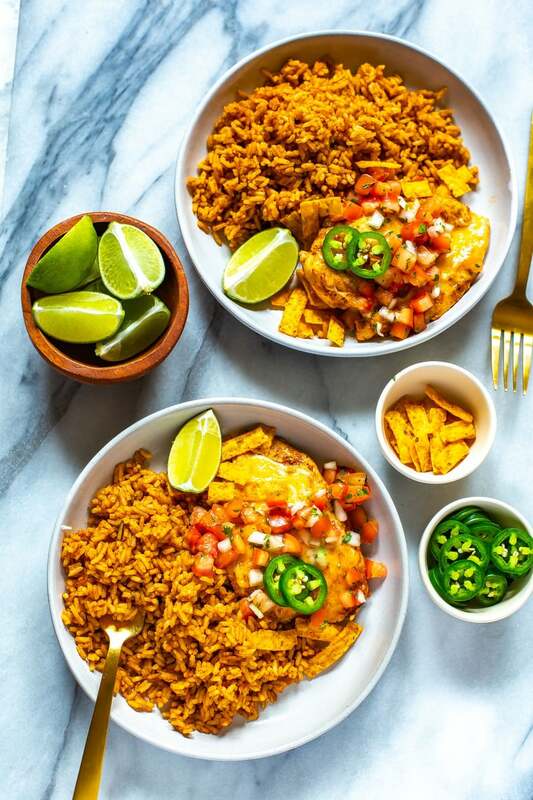 It's a tasty Tex Mex dinner idea that doubles as your weekly meal prep for easy lunches! If you haven’t ordered Applebee’s Fiesta Lime Chicken, you should definitely try it sometime. Or, just scroll down and grab the recipe for my healthier version of it, then make it yourself at home. It’s one of my favorite chicken recipes and will bring you summer vibes no matter what time of the year it is! 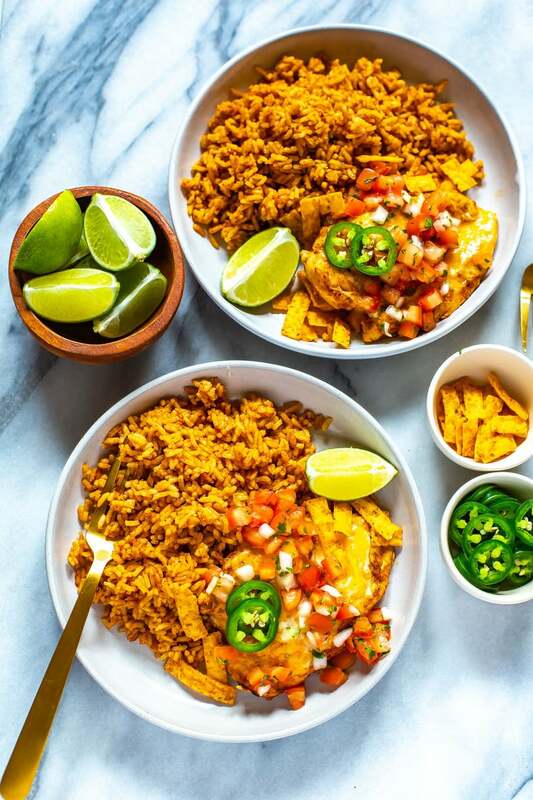 Are Fiesta Lime Chicken and Tequila Lime Chicken the same? The two dishes are similar, but not entirely the same. With Applebee’s Fiesta Lime Chicken, the chicken is grilled. 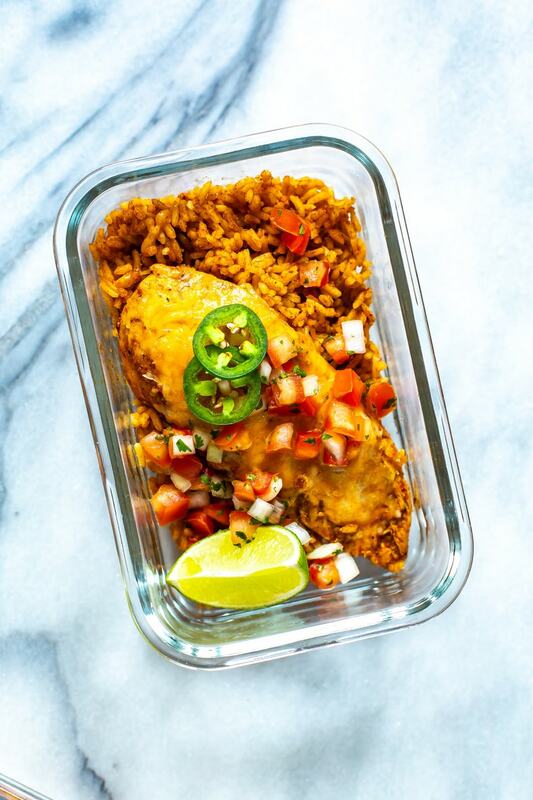 For this Tequila Lime Chicken recipe, it is baked chicken – this usually tends to be much easier when it comes to meal prep and you don't have to go outside to get the perfect chicken! There are a couple of ways you can prepare this tequila lime chicken. I bake it in the oven, but if you prefer, you can grill the chicken or even saute it since you're using thinner chicken cutlets and not huge, thick chicken breasts. Either way, it’s quick and easy to make! You’ll marinate the chicken for 15 minutes, bake or grill it for 15 to 20 minutes, and then it's time to serve! While you’re cooking the chicken, the rice will also be cooking. To make things as easy as possible, I like to use a rice cooker. This way, the recipe is hands-off, so you can leave the kitchen for a few minutes. You know, if you want to set the table or catch up on some Netflix or something. The toppings for this recipe are fairly versatile and you don't have to use exactly what I have pictured here. I almost always have a tub of fresh salsa or pico de gallo in the fridge because I usually have leftover chicken on hand and I like to be able to have healthy tacos on a whim. I guess you could say I eat a lot of Mexican-inspired dishes at home, and that's because they're so healthy while still remaining really flavourful. 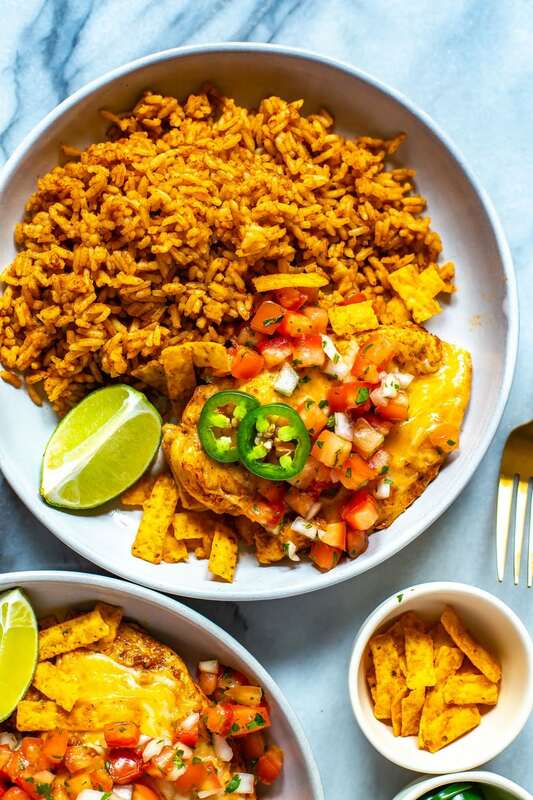 Having delicious salsas, hot sauces, tortilla strips and hot peppers at home can really help you spice up a dish like this tequila lime chicken in a flash. What type of chicken do I need? This easy dinner recipe features chicken breasts flavored with a tequila and lime chicken marinade. Some of the recipes floating around the Internet call for boneless chicken thighs, with the skin left on. Part of the appeal of using skin-on thighs is the nicely browned, crispy skin. You can use them to make this chicken recipe, but keep in mind that the dish won’t be as healthy. As with all my meal prep recipes I'm largely in favour of keeping everything as calorie-wise and lean as possible plus I always tend to have boneless, skinless chicken breasts on hand in the fridge or freezer, I'm just used to buying them so often. Of course you should go with what protein you want to use though, so know that you can use any cut of chicken (even drumsticks!) and it will work really well with the tequila lime marinade. The marinade for this recipe is super simple and you should have most of the ingredients already on hand at home in your fridge and pantry. It's just 2 tbsp each of olive oil, tequila and lime juice, followed by two key spices: chili powder and cumin. Throw in a little salt, lime zest (you can easily omit if you don't have fresh limes on hand) and some garlic, and that's all there is to it! 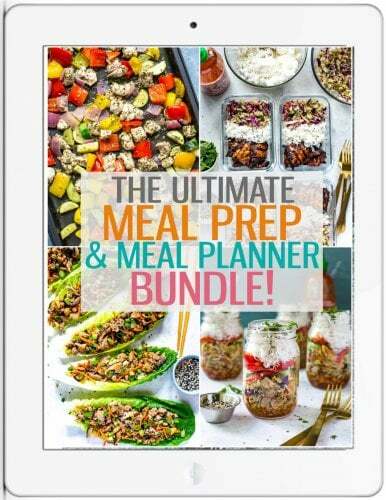 It really could not be easier, and it really gives you a restaurant-quality dish at home! Can I make tequila lime chicken without tequila? It's worth noting that there are just 2 tablespoons of tequila in this dish. And, keep in mind that alcohol evaporates during the cooking process. If you're in a pinch, you can definitely omit the tequila and just add another tablespoon of lime juice. Or you can substitute an equal amount of water. But, I will say that the tequila lime juice marinade gives such amazing flavor to the chicken – it almost reminds me of a spicy margarita flavour, so it would be sad to leave it out! Can you freeze tequila lime chicken? Yes, it's a very freezer-friendly dish. That's why it's so perfect to use as meal prep lunches! 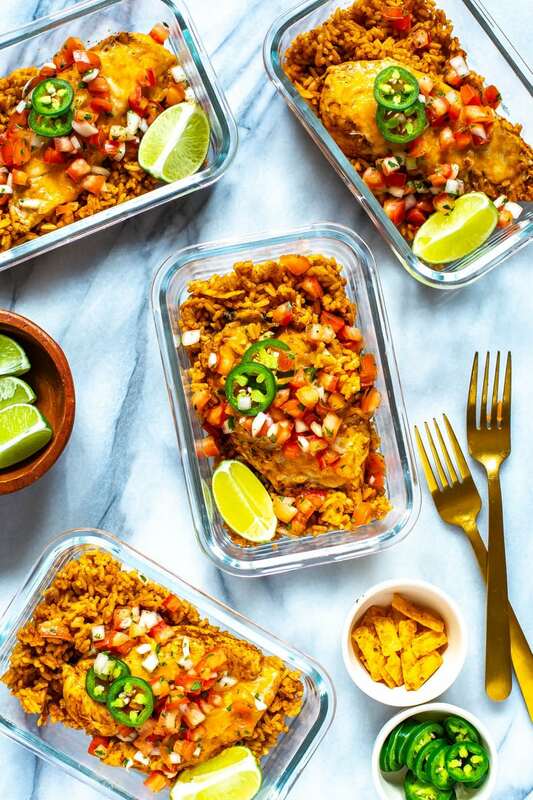 If you plan to freeze tequila lime chicken, be sure that it's completely cool before placing it into storage containers. Otherwise, you're risking the chance of condensation forming inside the container. That can cause freezer burn to form, which is not a tasty result. 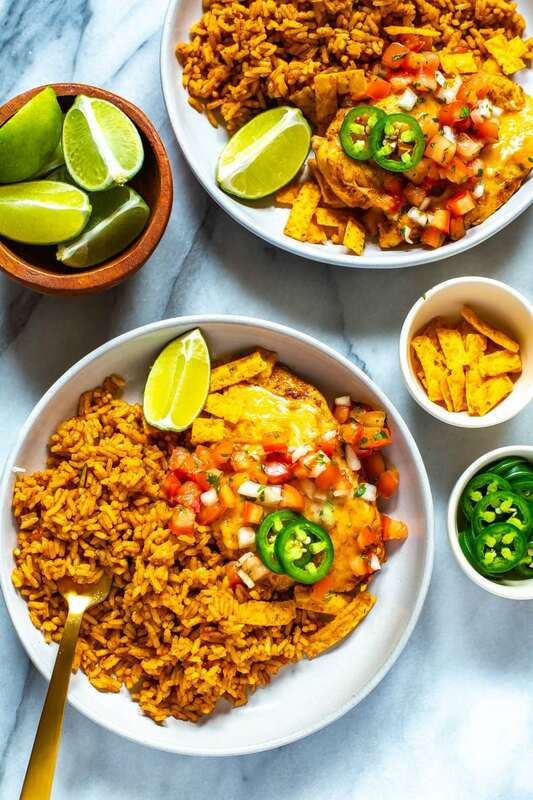 Make sure to use fresh salsa, tortilla strips and jalapenos – I would also recommend freezing without the cheese on top or adding more cheese when reheating. See the reheating instructions below! Transfer the contents to a casserole dish and cover with aluminum foil. Preheat oven to 350 F, then place the dish into the oven. Cook for 25-30 minutes, or until it's warm throughout. Then, eat and enjoy! 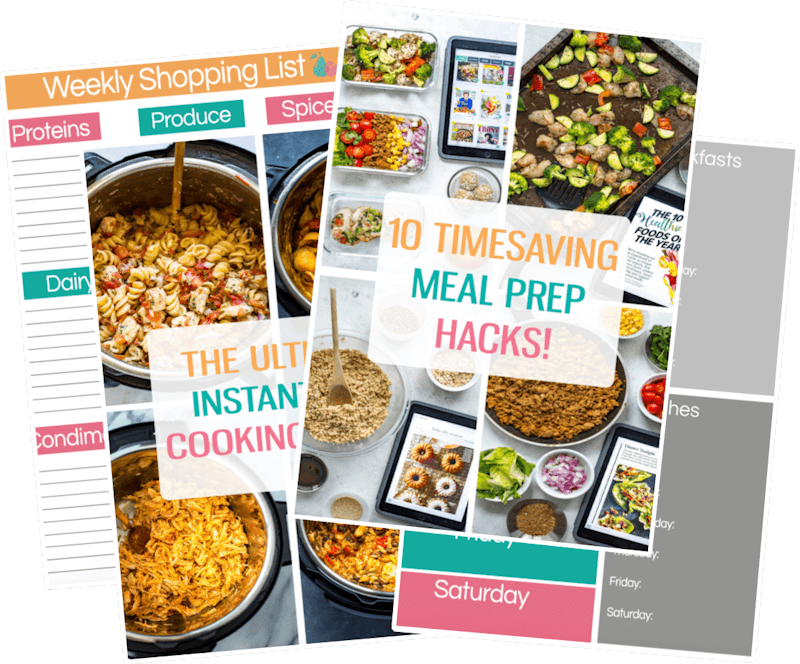 Looking for more easy chicken meal prep recipes? Give these a try! 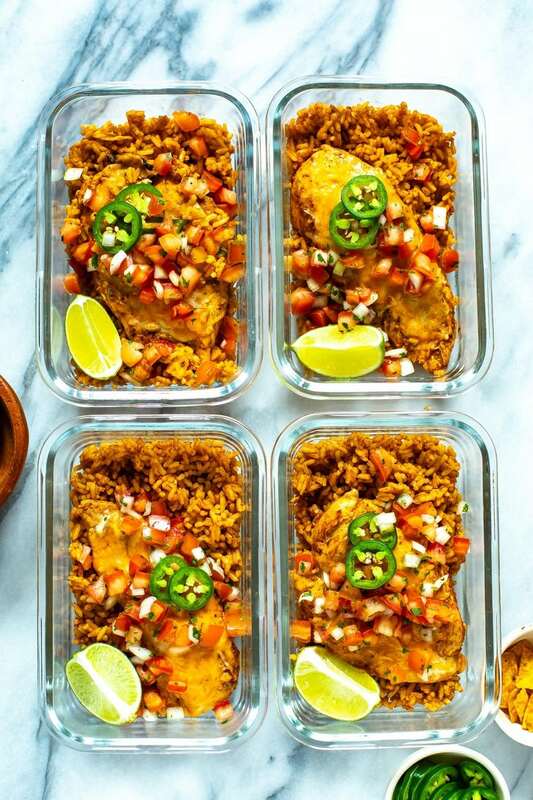 Grab some glass meal prep bowls if you plan on turning this Tequila Lime Chicken into your weekly lunches. Mix all ingredients for chicken marinade together and let marinate with chicken in a ziploc bag or bowl for 15-20 minutes. Meanwhile, make rice by adding all ingredients to a rice cooker. When chicken is ready to cook, add to a parchment-lined baking sheet and bake for 10 minutes. While chicken is cooking, prep toppings. Remove chicken from oven and top with grated cheese, then bake another 10 minutes until cheese is melted and chicken is fully cooked. 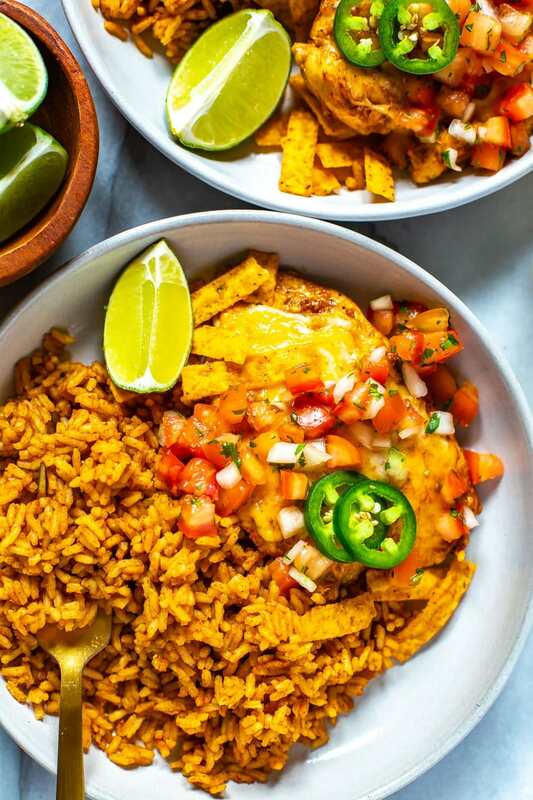 Top chicken with toppings of choice and serve with Mexican rice. Enjoy!